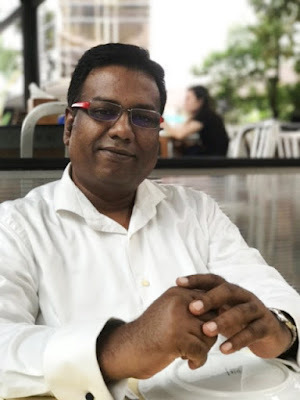 Today’s Interview, we’ve Jack Ayyappan from Bg Consultancy Pte Ltd. Jack A in short, runs a business that does Tax, Accounting, Corporate Secretary & related Consulting. If you've been in the business for a few years, and you've established your position in tax preparation or financial advising, you may be getting the itch to start your own firm. Owning an accounting firm can be incredibly challenging. Before you make the jump into starting your own accounting business. Let’s read Jack A stories and may be you will get afew tips out of this blogpost! After gaining 10 years of working experience in various industries such as Audit, Ship Management, F&B and Import and Export, I realised that there was a gap between SMEs and audit firms. Given that the services by top audit firms in Singapore is often inaccessible and expensive for SMEs, I wanted to bridge this gap by setting up my own consultancy services to help local SMEs grow. The principle that when others grow, we grow along with them is the cornerstone of BG Consultancy. I initially started as a freelancer, but I gained confidence from the many referrals from my satisfied customers which lead me to setting up a permanent business. I did my Masters in corporate secretary in India and my Masters in Professional Accounting in Victoria University, Australia. I also have several accreditations such as the Accredited Tax Practitioner (ATP) approved by Tax Academy Singapore and Corporate Service Provider ACRA. When time permits, I attend short courses to upgrade my skills as well. I started my business in 2005. First, networking is important. Getting to know people in the business field is important. It is good to attend business events and networking groups to increase your client base and to understand the changing needs of the companies that you are serving. Second, focus is essential. You need to know what you want to achieve at the end of the day. There might be many distractions and new opportunities coming your way as a business owner but you need to keep your end goal in mind and manage your time and commitments wisely. Third is time management. You need to be able to spend time meeting clients, spend time doing work in the office and also block some time for family, friends and other commitments. Sometimes, it’s easy to get too absorbed into work life which might bring about unwanted stress. A work life balance is essential in business! I believe that the growth of my clients is what drives me to do my best. A unique aspect of my job is that when my clients grow, I grow along with them. This encourages me to give the best advice and consulting services to SMEs that approach me. My services give me a glimpse of different industry types as well. Through this I gain versatile knowledge about the finance, food, maritime industries, just to name a few. Because I’m constantly able to learn something new through my business, I am passionate about it. To me, success is not about the destination. It is the journey that we take to reach the end. The networks, moments, hard work, lethargy that I might have experienced in my working journey are some things that I hold dear to me and are testaments to my success. Do not expect success in a day or a year. Like in every other industry, customers are very important for the business. I believe in delivering top quality service which allows me to receive referrals from satisfied customers to build a successful customer base for my company. BG Consultancy is OSSP – One Stop Service Provider for all SMEs from the start till the end. I spend time with my wife and daughter. We love to eat so we go out to our favourite cafes or occasionally explore new places. In future, I wish to infuse more technology into by business. Trends like Artificial Intelligence and Machine Learning are predicted to take over humans so it is important to be more technologically sound in the way I do my business. In future, my clients can look forward to more cloud services for their accounting needs. Lesser dependence on bulky files and papers means that clients can save more time by organizing their work online. If you want to be an entrepreneur, you should be ready to take risks. Don’t be afraid to discuss your ideas. Think out of the box. Innovation is key to sustaining our economy in this day and age. Next, you need to work smart rather than work hard. Finding efficient ways to carry out tasks and solving problems is important. One needs to understand that time is finite, so given a certain amount of time, we need to maximize it to produce the best outcome. Working smart allows you to be productive despite limited resources. Lastly, knowing your business basics is a must. Small but essential details like compliance to local rules and regulations when setting up a company are facts that every entrepreneur needs to know. If you are not fully equipped with such details, do not be afraid to ask around or approach consultancy services like BG Consultancy for your needs. Ethics is the only way to do business.